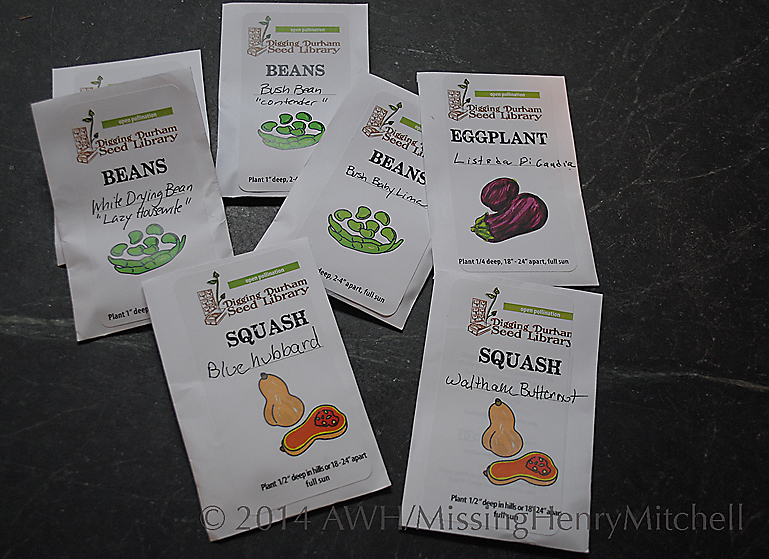 This entry was posted in 2014, Edible Plants, Garden plants, Gardening Basics, Vegetables and tagged Digging Durham, gardening, grow your own food, open pollinated, seed library, seed starting, sustainability, vegetables by missinghenrymitchell. Bookmark the permalink. As a former librarian, I think this is a great idea! I think it is, too. I will be watching this year to see how widely it’s used. I hope it catches on quickly. This is brilliant! 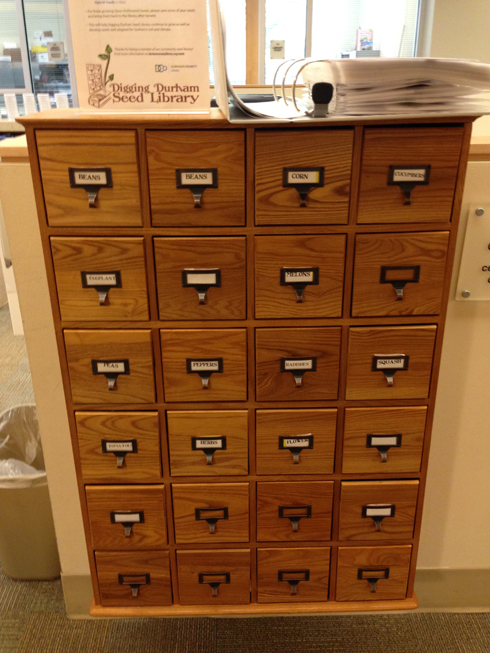 I have never heard of a seed library, but I googled it, and my library has one. I had no idea! Thanks for posting. What a wonderful idea. It gives you the chance to try growing things you might not have thought of. I’ ve never thought of growing sweet potatoes I wonder if they need lots of warmth and sun which we don’t get here. And you start them from slips. Do you mean slices of potato? Yes, slips are slices of potato, each of which has an eye. I don’t suppose anyone actually uses “chits” as a noun, but a slip is what you get when you chit a potato. But we don’t slip our potatoes. What a peculiar argot we gardeners have! Sweet potatoes need about 4 months of frost-free growing, so it may be difficult for you in the UK unless you live in Cornwall or the Scilly Isles. But then, you have mastered the art of hoop houses! There are short-season sweet potatoes that mature in about 90 days.